As a small business owner, you need to not only work in your business but on it. I guarantee this: you’re not going to grow it by writing. You need to market. You need to delegate. You need to find ways to streamline your workflow, accounting, and project management. It requires a holistic approach, which you lose sight of when you’re engulfed in your business. There are many apps for small business owners – like yourself – that can help. Apps that will help you market, manage projects, and make payments. Here are 9 of the best small business apps across marketing, project management, and accounting. Marketing your business isn’t easy and it takes time and effort. It helps to work smarter by automating processes that would otherwise be manual. You need to think out of the box to attain a competitive advantage. One way you can achieve this is to translate your website into multiple languages. Here are three small business marketing apps that will help. Build, segment, and grow your email lists. Create email campaigns, from a wide selection of customizable templates. Send test emails to preview your design and text, and make changes where necessary. Analyze open rates and other metrics. Engage in A/B testing to test two different subject lines. The system uses a fraction of your email list for the test. 50% of your list receives subject line one and 50% receives subject line two. The one with the best open rates wins. The system sends that email to the rest of your list. 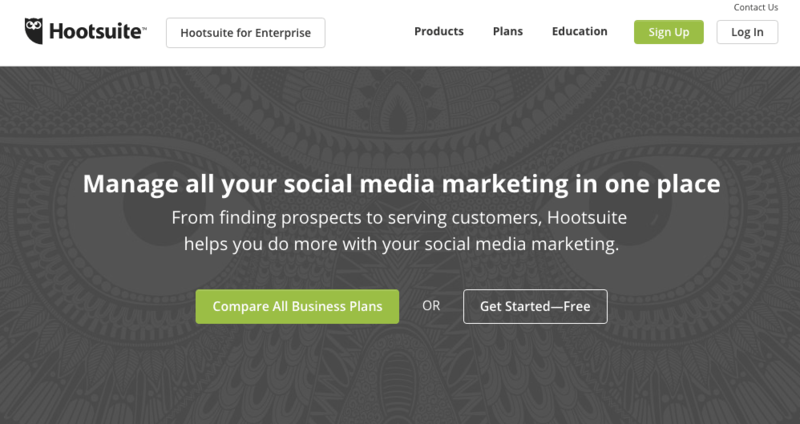 Hootsuite will help you automate your social media. Plan a posting schedule, days, weeks, or even months in advance. You’re even able to select suitable times to send your posts, even when you’re out of the office. This works well if you have customers in different countries, with different time zones. All your social profiles are accessible in one dashboard and the free version allows you to link three social media accounts. There is evidence that highlights the benefits of translating your site into multiple languages. From increased visits, engagement, and conversions, more websites are set t become multilingual. Get your personalized Bablic code to paste in the header of your site (Yes, no programming!). Publish or unpublish the languages of your choice via the Bablic Editor. Aside from marketing, there are many project management apps to help you manage projects and achieve goals. A freelance writing client of mine used Trello to manage the entire content and editorial process for the launch of his blog. He was managing writers from all over the world. Trello then is ideal for managing remote teams and collaboration among employees. Trello has an intuitive dashboard. You’re able to create boards or cards that you can move around the interface as you progress through your project timelines. It’s also possible to comment and attach files to individual cards. There’s a free forever plan, with a more advanced plan starting at $9.99/month. The app is a one-stop solution for your project management needs. Active Collab offers task management, team collaboration, time tracking, and invoicing facilities. You have the choice of operating it as a web application or on your server. A free trial is available for a month, thereafter it will cost you $25/month. If you’re a Google fan and already have a Gmail account, chances are you use this app. It’s available for anyone using a Gmail account and allows you to keep track of tasks and meetings. Download the app to your smartphone for notifications on the go. Taxes, accounting and bookkeeping. If these words give you a headache, well then it may be time to use an accounting app to simplify your life. PayPal is ideal to send and receive payments globally, for a small fee. They have large coverage. With a free PayPal business account (yes it’s free), you’re able to send invoices from the interface. If you want to take things further, consider using Yendo. In addition to offering accounting software, it offers CRM, payments software and newsletter software. It’s a solid solution for businesses who are growing a sales force and want to manage their sales pipeline and customer relationships. These small business apps will help you streamline your marketing, accounting, and project management. They will simplify tasks that would otherwise be time-consuming. And more importantly, they will assist you in working on your business, and not in it. Perhaps you already use some of the above apps? We’d love to hear what apps you use, in the comments below.